On 6 June 1944, allied troops land on Normandie beaches: it is D-day. From London the Général De Gaulle exhorts the French to resist while in France the Maréchal Pétain is collaborating with Hitler. Two sides of a divided France, a war between two France which began in 1789 and will end on this very special day. Patrick Landri goes back over this dark episode in French history. 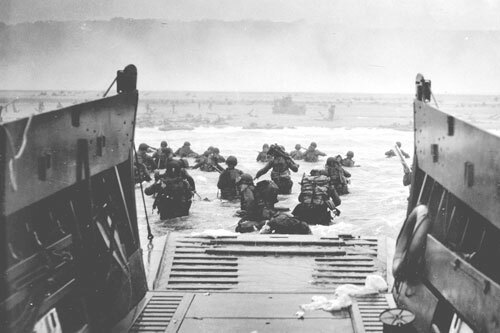 Image: The American landing on Omaha Beach, 6 June 1944. Photograph by Robert F. Sargent, U.S. Coast Guard.